Be(wear) of the Camera:Photo-Sharing Your Style — Anna Akbari, Ph.D. Surprisingly enough, Susan Sontag wrote that quote in 1977. At a social media-induced alarming rate, the sentiment could not bear more truth today. Have you seen iPhone 5 commercials lately? 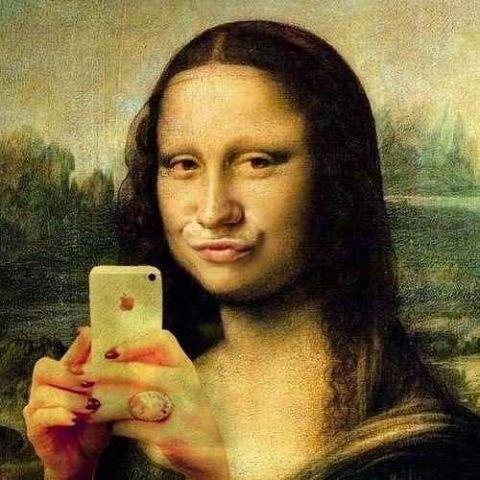 The most recent ad campaign is entitled, Photos Every Day, as the voice-over reports, “Every day, more photos are taken with the iPhone than any other camera.” Clearly, the weight of Sontag’s truth is due to the technologically-enabled ease of capturing an image. But, without the added platforms to share these photos with others, I’m betting we wouldn’t be so inclined to take as many snapshots as we do – especially of our sartorial collections. 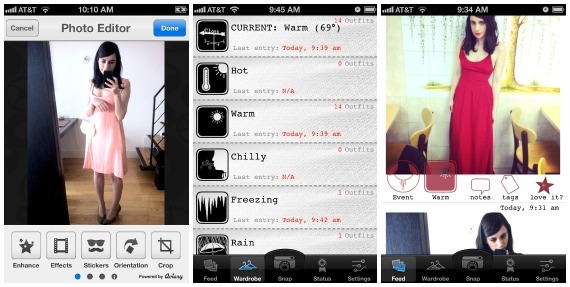 Photo-sharing acts as both a virtual mirror and a memory bank. When applied to fashion, it allows us to try on looks, get feedback in terms of likes/comments, and play with our image via technology. Essentially, these channels are added opportunities to communicate who you are (hopefully without becoming overly self conscious, vain, or narcissistic along the way). 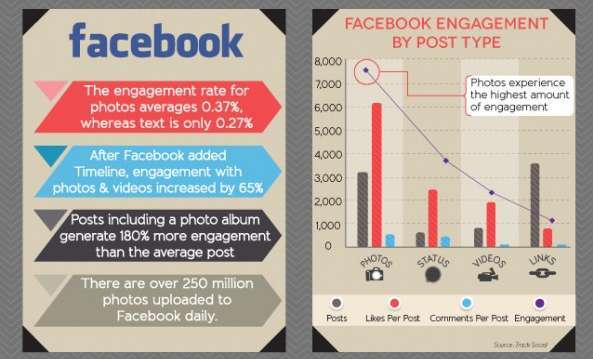 The social media channels that invite us to partake in self-branding through visual culture are endless. Whether the medium be as fleeting as a Snapchat, or as everlasting as Facebook photos (where even the deceased remain virtually relevant), people are revealing, if not promoting, what they wear and admire to an uncountable number of eyes. Everything from Canadian model Coco Rocha’s high-fashion instagrams to Kelly Osbourne’s controversial black diamond manicure fuel this photo-sharing frenzy. 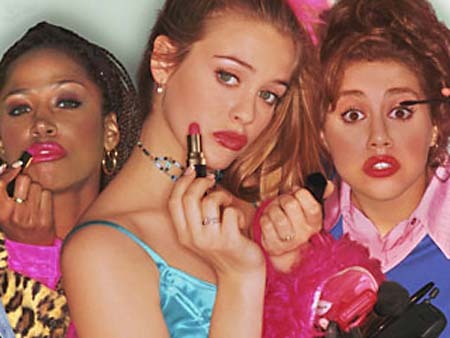 What does this mean for our image-centric selves? Our constant participation in media does not allow us to look away from these ‘mental mirrors.’ Born out of social media, it is not hard to see how the ‘selfie’ may be short for an image that will likely induce self-consciousness. In terms of fashion, some critics acknowledge the type of popularity contest that sartorial photo sharers and bloggers take part in. In T Magazine, Suzy Menkes notes, “Fashion has to some extent become mob rule — or, at least, a survival of the most popular in a melee of crowdsourcing.” If everything that existed aimed to end in a photograph in 1977, today, those images also aim to be ‘liked’ – as if high school wasn’t long enough. Whether or not there are marketing campaigns, vanity projects, or consumer bragging rights behind fashion photo-shares, it isn’t always easy to curate, censor, or feel consistently confident when using this medium of self-reflection. Instagramming doesn’t come with instant confidence, especially when digital privacy seems more and more like a national pastime. No matter the number of followers or accumulation of likes (even though we are tweeting and instagramming amongst the stars) the lot of us are not celebrities. We are not always – nor do we need to be – ‘camera ready.’ However, I still want you to show the world who you are…even if that person prefers privacy. You don’t have to miss out, because the most important self you share is the one that you show off in person. 1. Tired of looking into the ‘mental mirror’ in the dressing room? Want an ‘insta-suggestion’ or second opinion while shopping from people and stylists you trust? 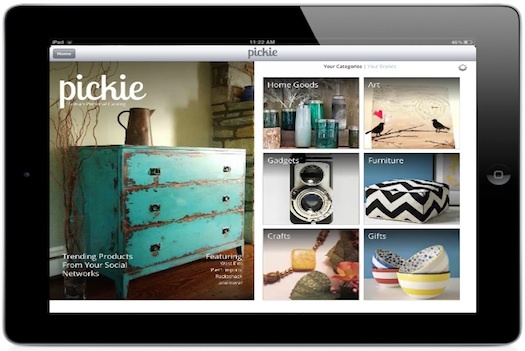 Pickie: Take part in the ‘social shopping’ movement and use your network along with Pickie’s staff of editors to curate your own fashion wishlist. Pickie personalizes your very own ‘shoppable magazine’ with products shared by your friends/people you follow, what’s trending/new/noteworthy, along with editors’ picks, all based on your interests. 2. Overwhelmed with the amount of sites and bloggers, but still want all the highest rated looks and to conveniently keeping your Instagram ‘follower’ to ‘following’ ratio down? 3. Too turned off, apathetic, or shy to share? 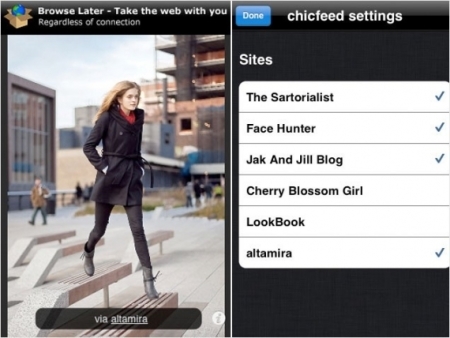 Clothapp: You don’t always have to share. Clothapp lets you choose to whom you want to “unlock your closet.” Use it to digitally organize your wardrobe based on occasions or levels of formality. 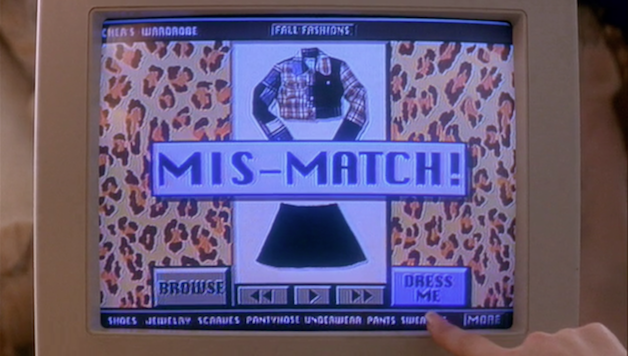 The New York Times compares the app to Cher Horowitz’s computerized closet in the 1990s cult classic, Clueless (see below; duckface, optional). Fully equipped with Instagram-like filters for share-worthy outfits, there’s even a new weather feature so you can dress to mother nature’s real-time conditions.